Cohen Film Collection will release The Official Story DVD, director Luis Puenzo’s universally hailed debut feature, on Blu-Ray, DVD and digital platforms. 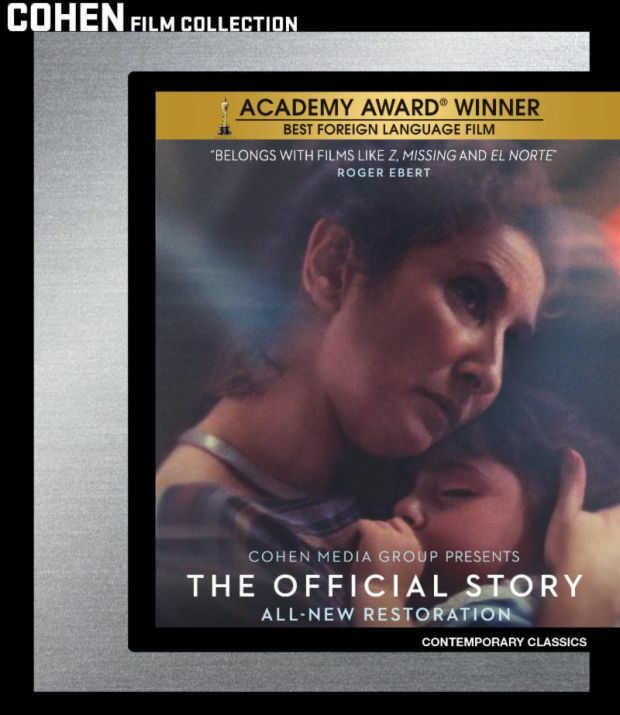 The urgent and bracing historical drama set during Argentina’s “Dirty War” won a raft of prizes worldwide, including the Academy Award for Best Foreign-Language Film of 1985. The Official Story is a stirring character drama and a haunting rumination on the sins of the past. Set in Buenos Aires during the final years of the Argentinean military dictatorship’s “Dirty War” against its own people, it tells the story of Alicia (Oscar nominee Norma Aleandro, Gaby: A True Story, Cousins), the wife of a wealthy businessman, who discovers that their adopted child may be the progeny of a desaparecido, a victim of the forced disappearances that occurred during the dictatorship’s reign of terror. This revelation forces her to reveal the truth about her country’s legacy of corruption and murder. In addition to its Oscar triumph, The Official Story won top awards at the Golden Globes, the Chicago Film Festival, the Los Angeles Film Critics Association and the National Board of Review, among other honors. Norma Aleandro was named Best Actress at the Cannes Film Festival as well as by the National Society of Film Critics and the New York Film Critics Circle.